Luis Duno-Gottberg — professor, college master and talented photographer — manages a demanding schedule of scholarly and creative pursuits while taking an active role in Rice’s residential college system. 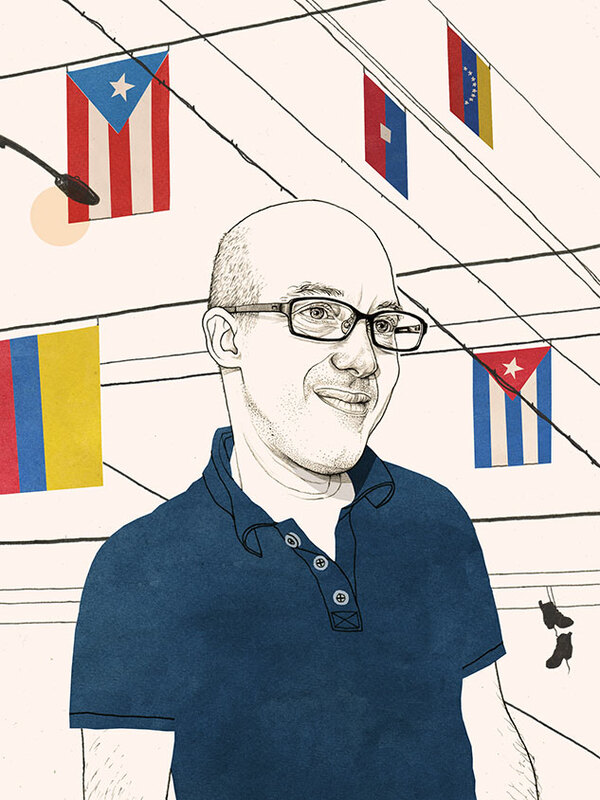 A native of Caracas, Venezuela, he teaches the ethics, politics and visual culture of Cuba and other Caribbean locales; he also chairs the Department of Spanish, Portuguese and Latin American Studies. 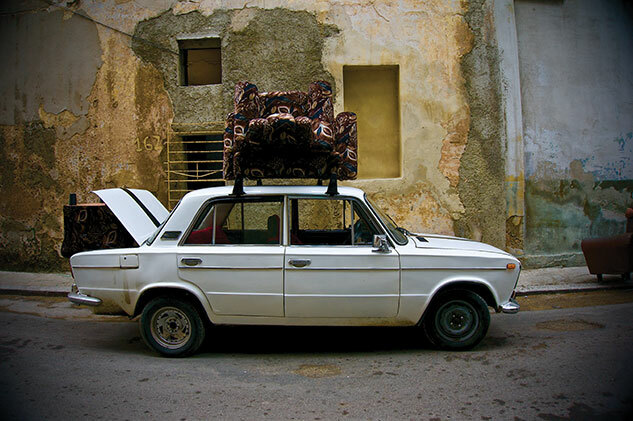 Along with Rice colleague Fabiola Lopez-Duran, an art historian, he has led students and faculty on study-abroad trips to Cuba for the past eight years.. 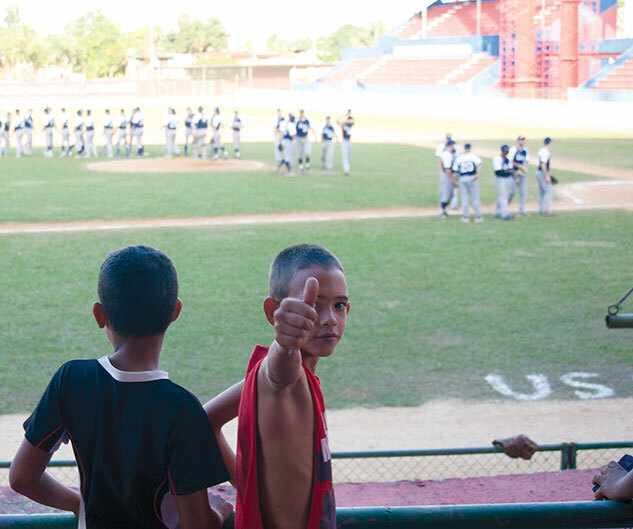 So, when alumnus and political scientist Greg Thielemann ’86 approached Duno-Gottberg with the wild idea of taking the baseball team to Cuba, he responded enthusiastically. Baseball coach Wayne Graham, who had visited Cuba in 1960 as a minor league player, seized the idea, and he and Athletics Director Joe Karlgaard quickly went to work to clear administrative hurdles. 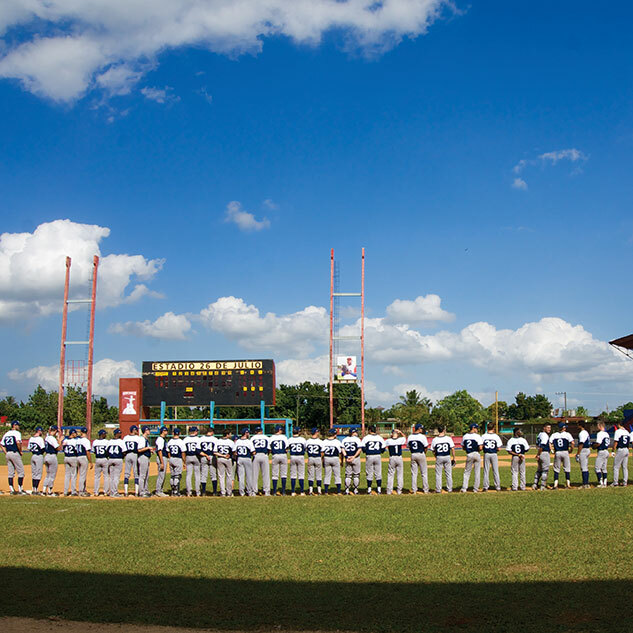 As they announced last August, the Rice baseball team would play a series of exhibition games against teams in the Cuban Baseball Federation — and they were required to register for Duno-Gottberg’s fall class in contemporary Cuban history. In addition to baseball competition in Cuba, the team would immerse themselves in a living syllabus: walking the streets of old Havana, touring museums and visiting cultural institutions. However, baseball would be the focal point of this special course. Then Fidel Castro’s death, announced the evening after they’d arrived and played the first of five scheduled exhibition games, provided a new focus for the students, who were now playing witness to history. “After 48 hours in Cuba, this historic event happened and everything with this trip — and that nation — changed,” Duno-Gottberg said. We interviewed him both right before and right after the trip. I come to the classroom with some concepts and a number of objectives I want to cover throughout the semester. But I’m also open to changing the course. A good professor will always change the path to achieve the objectives, depending on the audience. And even the objectives can shift. It’s like dancing. You’re sharing with another person, but you also follow their movements, their rhythm. 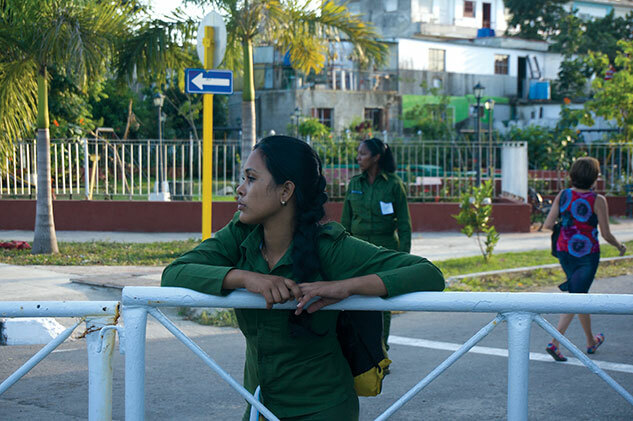 I teach about the Cuban Revolution, politics, racism and other forms of violence. You have to be mindful that these are touchy subjects. People have different perspectives that could quite often be different than yours. If you don’t listen carefully, you could foreclose communication. In the metaphor of dancing, you have to move back and forth and find a place where you can exchange ideas without stepping on each other. For the fall’s Trends in Contemporary Cuba course, I used elements from the class I teach every semester but included a whole component related to baseball. The idea was to think about baseball beyond the game itself, as a social practice through which you can think about immigration, race relations and geopolitics. It was great to discuss these ideas with players who know the game and live the game but may not have thought about those social, political and economic dimensions of their passion. The players and team had a lot of contact with the officials of the Cuban Baseball Federation and trainers, and at the end, briefly, with the players. And they talked to people in the community. It was very beautiful. There were a lot of people cheering, and the spectators were so focused. The game was fascinating [Rice won 4-0 against Artemisa], but to me what was happening among the fans was equally fascinating. The U.S. flag on one side of the field, the Cuban flag on the other. The class [Trends in Contemporary Cuba] is always closed — students have to interview to register and talk about why they want to do this, what’s their experience traveling or dealing with challenging settings or experiences. They need to be ready for this kind of trip. I always give them a list of the things that could end up happening. “You could end up pushing the bus. You’re going to eat a lot of black beans and rice. … You’re sure you want to do it?” And they say, “Yeah, I want to do it!” They embrace the opportunity to be pushed forward. Greg [Thielemann] called me and said, “Luis, we have a problem.” And I asked if something happened with a student, and he said, “No, no. Fidel died.” And I didn’t believe him. That’s the oldest joke among Cuban scholars and people who study Latin American politics. Of course, I knew it was possible. It was not unexpected, but when someone wakes you up at midnight to tell you this … I was about to hang up. After about five minutes, I realized it was true. Other Cuban friends called with the same news. Then people started piling into my room and asking questions. I said, “Go to sleep. There’s nothing we can do right now.” Of course, I was awake all night. The next day, we discussed how we should proceed. We asked questions. I talked to many of my Cuban contacts and evaluated everything. Everyone was in agreement that we should stay. The games were suspended, and many things were closed. Cuba, which is a place of music and excitement, was, for once, silent. Every day, we tried to develop a program in which students would achieve the established objectives. There were things that we wanted to do, and we had to go to plan B, C and D, and we couldn’t confirm more than an hour ahead. One day, we learned about the political economy of tobacco by visiting plantations and factories; another, we learned about sugar. And on the bus, I gave a lecture about how these two commodities produced this island through a particular economy and culture. We were able to visit historical sites, including the Museum of the Revolution; Havana Central Park; El Floridita, a bar made famous by Ernest Hemingway, and Finca Vigia, Hemingway’s house; several fortresses; the Cathedral of Havana; and La Cueva del Indio in the Valle de Vinales. We walked a lot in old Havana and learned about the colonial city. We even visited a contemporary dance studio (an event covered by Reuters). The students had an opportunity to talk to many Cubans. One of the first things we did was have an in-depth conversation about what the Cuban people were feeling. There were people who were mourning (in Cuba), and there were people celebrating (in Miami). I wouldn’t underestimate that conversation — making the team aware of all the things people were feeling. This is how we decided to go about it step by step, and having tactful exchanges with the people who welcomed us in their country in such a tremendous historical circumstance.